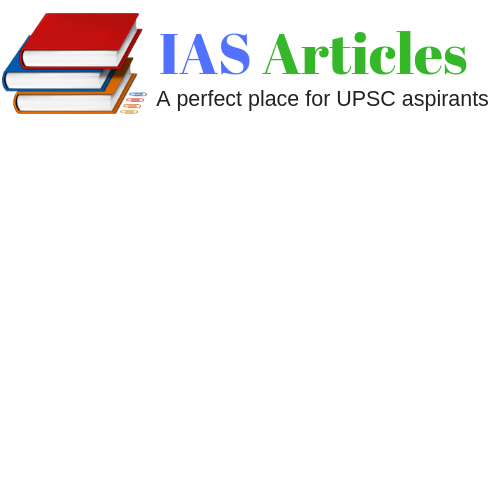 Introduction: This post deals with top 'The Hindu Current Affairs + PIB' of 12 January 2019, These are fully analyzed and every single detail is provided with the exam point of view, All you need to do is go through it and try to read between the lines so that you can come out with your own opinion. · National Youth Day is celebrated on 12 January every year on the birth anniversary of Swami Vivekananda. 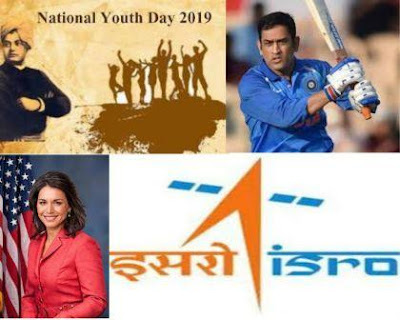 · Theme 2019- " Channelizing Youth Power for Nation Building "
· The day was declared by the Government of India in 1984 and was celebrated since 1985 every year. · Mahendra Singh Dhoni has become the fifth cricketer after Sachin Tendulkar, Sourav Ganguly, Rahul Dravid & Virat Kohli to score 10,000 ODI runs. · He has made the runs during the first ODI of India against Australia in Sydney. · Tulsi Gabbard, the first Hindu member in US Congress will contest in Presidential elections 2020. · According to ISRO’s chairman K.Sivan, ISRO is likely to send 3 Indians in the 2021 Gaganyaan Mission who will be orbiting in space for up to a week. · Among the three Indians, one will be a woman. · P.M Narendra Modi will inaugurate the 9th edition of the Vibrant Gujarat Summit during his two-day visit to Gujarat on 18 January. · Head of State of Denmark, Czech Republic, Uzbekistan, Rwanda & Republic of Malta will be attending the summit. · P.M will meet the heads on the sidelines of the summit. · P.M will also have a round table conference with financial experts & CEOs regarding the opportunity for investment in the country. · On 17 January P.M will open Vibrant Gujarat Global Trade Show in which several companies across the countries will participate. · Maria Espinosa, the UN President will visit Pakistan next week on the invitation of Pakistan Govt. · Espinosa was the former Minister of Foreign Affairs of Ecuador and was elected as the President of the 73rd session of the UN general assembly. · This is her first visit to the Asia Pacific region since she holds the office and her visit will make with an aim to strengthen the world body’s ties with the country to promote multilateralism. · Railway Protection Force (RPF) has rescued 669 children from stations & trains under the Northeast Frontier (NF) Railway. · Children were rescued while they were trafficked and the traffickers are arrested. · Ashok Chawla has resigned as the TERI ( The Energy Resource Institute ) chairman. · The move has come when CBI got the nod to prosecute Chawla in the Aircel-Maxis bribery case. · Chawla had replaced B.V Shreekantan Nair in 2016 as the chairman of TERI. · He was also the former head of the Competition Commission of India. · NITI Aayog’s Atal Innovation Mission has released the “Atal Tinkering Lab Handbook- Nayee Dishayen, Naye Nirman, Naya Bharat” on the occasion of the birth anniversary of Swami Vivekananda which is also celebrated as the National Youth Day. · The 10 months Student Entrepreneurship Programme has also announced to be organized which will be a fully funded initiative to help the top six innovations of the Atal tinkering Marathon 2017. · The innovations will be based on 6 crucial themes- Clean energy, Waster management, Agri tech, healthcare. Smart mobility & water resources. · Nepal Army Chief, General Purna Chandra Thapa will visit India from 12-15 January 2019. · This is his first official bilateral visit after holding the position. · He will be honored by the “General of Indian Arm” by the President of India on 12 January at Darbar Hall of Rashtrapati Bhawan. · This is a tradition among India & Nepal Armies and symbolizes deep-rooted military to military ties and a platform to further strengthen the defense cooperation between the two armies.